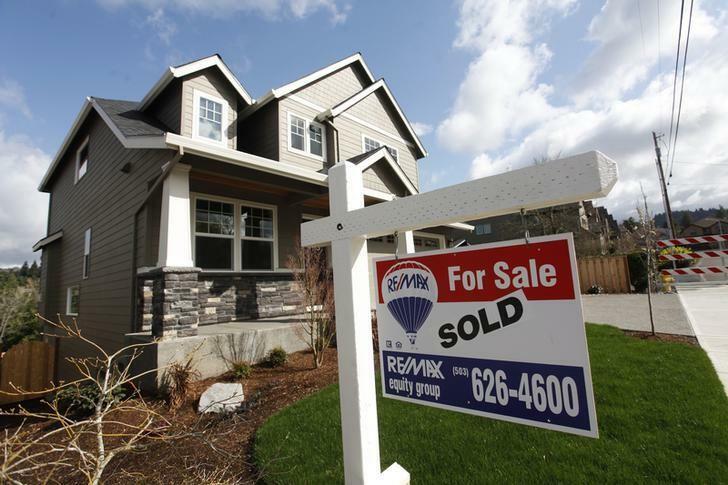 WASHINGTON (Reuters) - U.S. home resales rose more than expected in September to the second highest monthly sales pace since February 2007, suggesting the housing market continues to show strength compared to the rest of the economy. The National Association of Realtors said on Thursday existing home sales increased 4.7 percent to an annual rate of 5.55 million units. August's sales pace was revised slightly lower to 5.30 million units from the previously reported 5.31 million units. Economists polled by Reuters had forecast home resales rising to a 5.38 million-unit pace last month. Sales were up 8.8 percent from a year ago. Sales increased in all four regions of the United States and inventory continued to tighten. Unsold inventory was down to a 4.8-month supply at the current sales pace, down from 5.1 months in August and 5.4 months a year ago. "As we enter more softer demand months, we may not really feel the squeeze of tight inventory, but come spring of next year ... we could be facing a very tight inventory situation," said Lawrence Yun, the NAR's chief economist. Nationwide, the medium home price fell to $221,900. That was still an increase of 6.1 percent from one year ago. The stable pace of home resales in September follows Tuesday's strong housing starts data, which was buoyed by increased demand for rental apartments. Housing has steadily improved relative to the rest of the U.S. economy, which has been buffeted by soft global demand, a strong dollar, and weak capital spending in the energy sector.